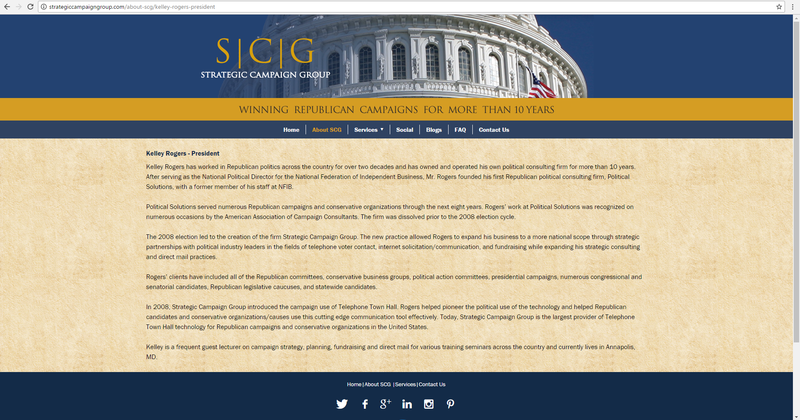 The Strategic Campaign Group, a political fundraising and consulting firm in Annapolis, has been raided by the FBI. This story will surely play out more in coming months. But as of this moment, what do we know about this firm? Its founder is a long-time GOP operative. The company has been active in Maryland. State Board of Elections data indicates that the firm has been paid by a number of Maryland-based GOP clients, including Queen Anne’s County Commissioners Mark Anderson ($68,600 in 2014) and Steve Wilson ($47,505 in 2014), Republican House of Delegates Minority Leader Nic Kipke ($30,537 in 2014-2016), former Del. Ron George’s gubernatorial campaign ($6,654 in 2013-2014), the Republican House Caucus Committee ($2,964 in 2017) and former Montgomery County GOP Senate candidate Frank Howard ($1,085). The Washington Post reports that the company worked in support of the Congressional campaigns of GOP Dels. Kathy Szeliga and Pat McDonough. The firm has also worked for Democratic Prince George’s Sen. Anthony Muse ($2,000 in 2012), several Fire Fighters local unions and an independent expenditure committee financed by Penn National Gaming to oppose the 2012 gambling expansion referendum. Outside of Maryland, the firm’s clients included firebrand neo-con John Bolton. The company offers a large range of services to its clients, including mail, media, fundraising, printing and campaign materials and field expenses. 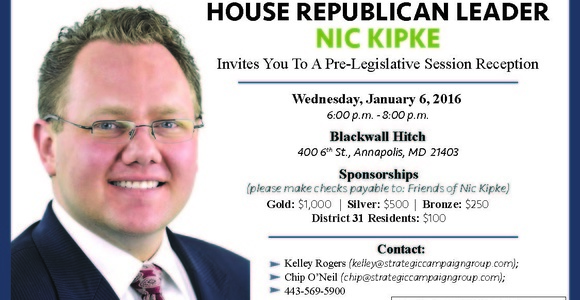 A fundraising solicitation sent by Kelley Rogers on behalf of Del. Nic Kipke. The company worked for White House party crasher Tareq Salahi’s campaign for Governor of Virginia. Remember Tareq Salahi, the vintner who crashed a White House state dinner in 2009? Three years later, Salahi ran for Governor of Virginia and hired Rogers as a senior consultant. Salahi ran as an independent but could not get enough signatures to qualify for the ballot. His write-in candidacy drew less than 1% of the vote. Salahi’s story had many twists and turns afterwards. Rogers (right) with Gov. 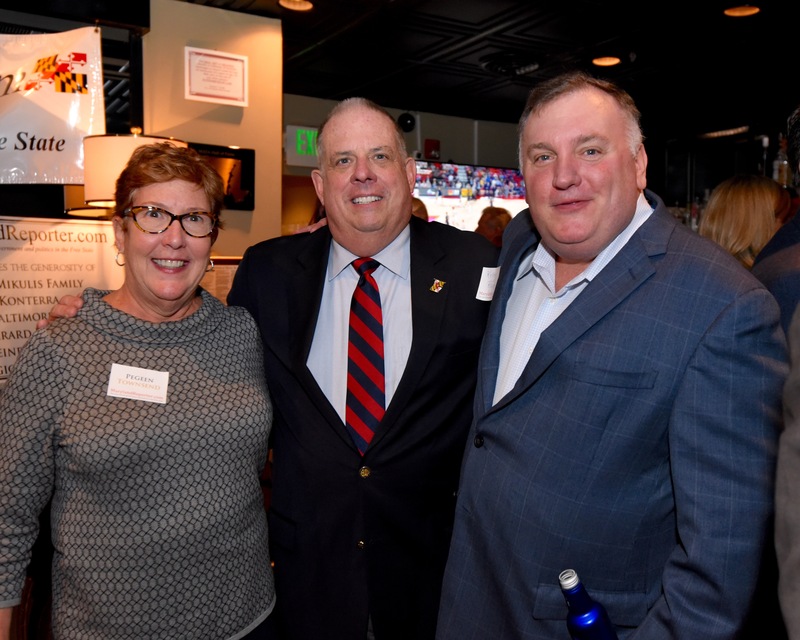 Larry Hogan at a fundraiser for MarylandReporter.com. Photo credit: Office of the Governor. (A) substantial proportion of the approximately $2.2 million that defendants raised through political fundraising in 2013 was directly attributable to solicitations invoking Ken Cuccinelli, as Virginia’s gubernatorial election was the marquee contested race of American politics in 2013… Defendants, however, have admitted that they did not use the money raised invoking Ken Cuccinelli to actually aid the Cuccinelli campaign, either through direct contributions to the campaign or through independent expenditures in support of the campaign, other than a single $10,000 contribution to the campaign on October 4, 2013 – which amounted to less than one-half of one percent of the approximately $2.2 million that defendants raised in 2013. The lawsuit was settled a year later with Cuccinelli proclaiming victory. In the Post’s report, Rogers himself speculates that this incident may be connected to the raid.